Watch this episode and more! All six episodes are available to Foodable+ members. Membership is an all-in-one package of the game-changing trends, expert analysis, reports and insights driving the industry for the entire year! On the last episode, we introduced the TotalView Best Practices Audit and why you should use it in your business. But what exactly is this audit? Essentially, the TotalView is a survey used to determine how well your business is running. Separated into seven core competencies, the TotalView touches on every facet of your operation from team members, to design, to management of finances. Normally conducted by a consultant, the Rockers want to share this auditing process with operators like you to help you get started self-auditing. When going down the list, you will find questions organized by segments of the business: Leadership and Management, Brand and Marketing, Guest Service, Menu and Culinary, Operations and Training, Human Resources and Internal Communication, and Financial Performance. So, what do you get with the TotalView Best Practices Audit? The Rockers set you up for success with a set methodology and objectives, an executive summary, the "Best Practices 7 Core Competency Findings and Recommendations," a SWOT chart, a set of conclusions, recommended next steps, and resources and exhibits to help you along the way. Bill and Eric remind us that it’s important that you are honest when implementing this process. It only works if you use it the way a third-party auditor would. Once you have your findings, you can implement changes that will start to improve your operation. "You or this process really becomes the change agent for the organization. If you've got some problems and you start implementing this process, I think you'll find those problems out and be able to change. You're really going to be able to shift where you are and try to make it better," Eric said. And don’t hesitate to turn to a FCSI Consultant if you want a little help from an expert with fresh eyes! They can help customize your audit to your particular operation. Want more RMR Pro Episodes? 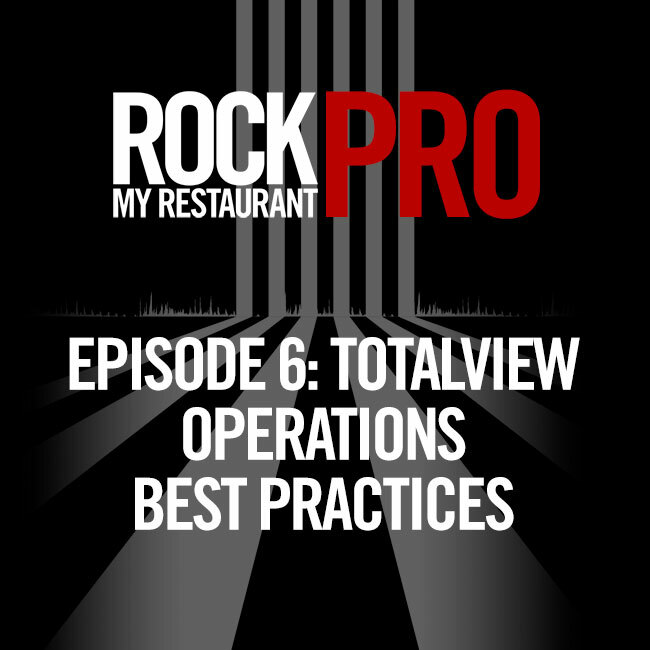 On this episode of "Rock My Restaurant", Rockers Bill and Eric introduce us to the TotalView Best Practices Audit™. What does that mean? Why should you use it? The TotalView Audit looks at different aspects of a business to see if operations meet a minimum level of operating standards. What are these standards? Let's look at, for example, the Uniform System of Accounts for Restaurants (USAR). Bill says “One thing we both implore [you use], and many other consultants or leaders in the industry know about it; it’s the USAR.” This document, which was republished a few years ago, is the standard for financial reporting within the industry. But there is more to a businesses success than just financial management. As a FCSI Consultant, Eric notes that he is required to take a certain number of Continuing Education Units per year to stay on the top of his game. Having a strong base of knowledge is important in designing and improving operations in businesses you work with. Restaurants are mini-manufacturing facilities. They take raw products and ingredients and transform them into delicious meals for customers. There are a myriad of products and pieces of equipment that go into creating the end product. And of course, we also need to be aware of the intangibles, like budget management, brand management, staff training, and more. The rockers also talk about the increased complexities that come with expansion. Adding executive teams and administration teams, franchisees, etc. make businesses more difficult to manage. This is why documents like the TotalView “Best Practices” Audit is so important. What used to be “To Do” lists on yellow notepads have grown to cover anything you could possibly imagine. To get started on reviewing your business, the Rockers say start with reviewing the Business Ownership Structure to identify the type of organization you’re working with. You’ll also want to identify the format of Profit-Loss you are using (earlier we recommended the USAR). Stay tuned for the next episode of Rock My Restaurant when Bill and Eric take us through the TotalView Audit. This season on "Rock My Restaurant," Foodable Network is bringing you a premium content package of nine in-depth episodes that can be paired with our Rock My Restaurant PRO Workbooks, expert guides, and report, all available for purchase. Each episode, co-hosted by veteran foodservice industry consultants Bill Bender and Eric Norman, will help take your operation to the top. That's right — you’ll get access to two highly-acclaimed foodservice consultants, all from the viewing pleasure of your own home, office, or classroom. “Rock My Restaurant” is the show that helps industry professionals build their restaurant from the ground up. Is your organization delivering on its promise during all points of guest interaction? This episode will go over a few ServPoint Sequence of Service examples that must be executed properly by your restaurant team to help deliver your brand successfully to each guest. Identify the optimum speed of service and train your team to achieve that. Plan the physical path and space that guests will use to identify and design site lines and focal points of entertainment. “As a designer, I want to take advantage of my design and have the facility work as hard as the owner and the team are working, so it all runs in tandem,” Eric Norman explained. Walk in the guest’s shoes. Multiple POS stations are critical. To ensure customer satisfaction and to measure if everyone on your team is performing at their highest level, the Rockers recommend utilizing metrics and technology to capture and analyze your restaurant’s service performance data. It’s recommended to share this information with your management, so your team can adjust and improve on weak points of service. “Performance Scope... out of Minneapolis does a fantastic job for clients I’ve worked with,” co-host Bill Bender added. This season on "Rock My Restaurant," Foodable Network is bringing you a premium content package of nine in-depth episodes that can be paired with our Rock My Restaurant PRO Workbooks, expert guides, and reports– all available for purchase. Each episode, co-hosted by veteran foodservice industry consultants Bill Bender and Eric Norman, helps take your operation to the top. That's right — you get access to two highly-acclaimed foodservice consultants, all from the viewing pleasure of your own home, office, or classroom. A restaurant is only as successful as the team responsible for running it. As Rock My Restaurant Pro co-host Bill Bender explains, providing a positive experience is crucial to team success. Team member experience consists of more than just an employee’s relationship with their peers. It includes their experience with the culture of the restaurant, as well as the design of the facility. “Whether it’s prep cook, line cook, somebody making salads or dessert — Is their workstation set up correctly? Is it ergonomically correct? Do they have all the tools they need at that workstation to get the job done without being completely miserable running back and forth to the walk-in or to the pot sink?” are the questions fellow co-host Eric Norman asks. It is also important to consider what is important to your team. In this age, we see a lot more millennials coming on as team members in restaurants. With high digital literacy and an increased concern for the environment, managers might find they need to provide modern technologies and environmental conservation strategies. You can build loyalty in team members who take pride in representing your company. This season on "Rock My Restaurant" Foodable Network is bringing you a premium content package of nine in-depth episodes that can be paired with our Rock My Restaurant PRO Workbooks, expert guides, and reports– all available for purchase. Appearance, accessibility and design are critical to a restaurant’s success. Choosing, designing and maintaining your property can mean the difference between attracting and repelling customers. 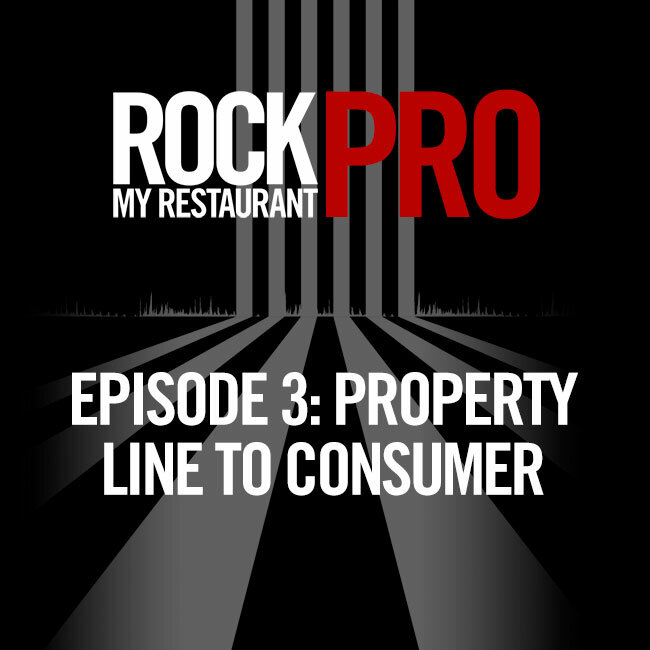 On this episode of Rock My Restaurant, Hosts Bill Bender and Eric Norman analyze what you should be doing to ensure your restaurant is catering to your guests and providing them with an enjoyably memorable experience. In order to provide that experience, Eric shares some advice given to him by his FCSI colleague and father, Ed Norman. Restaurant Visibility - Can you see your restaurant from at least 400 feet away? Is there ample parking? Is it well lit? Do you have a guest drop off area? How accessible is your restaurant? Do you meet all ADA and building codes in your local jurisdiction? Landscaping is brandscaping - Landscaping should be a dedicated aspect of your design plan. Signage - Be sure to represent your brand and attract customers while still obeying all signage laws. Watch the full episode for more tips on what to consider when planning your restaurant design for your guests!